"Farm-stay Bed & Breakfast overlooking Bassenthwaite Lake"
Welcome to Highside Farm where you will be assured of a first class and comfortable stay at the home of the Mawson family. Relaxed and luxurious Bed & Breakfast accommodation overlooking Bassenthwaite Lake, situated in the outstanding World Heritage English Lake District between the renowned market town of Keswick and Cockermouth. 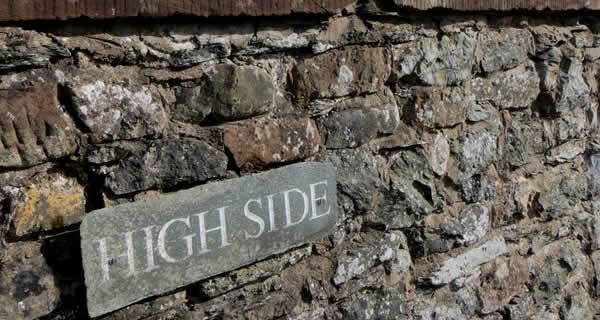 Highside Farm is a traditional Lake District working sheep and beef farm. It has been farmed by the Mawson family for over 50 years. In 2003 the farmhouse was renovated over a period of months and put back together with love, focusing on attention to detail highlighting the authenticity of a working farm of the 1600’s. The Lake District, also commonly known as The Lakes or Lakeland, is a mountainous region in North West England. A popular holiday destination, it is famous not only for its lakes, forests, and mountains (or fells), but also for its associations with the early nineteenth-century poetry and writings of William Wordsworth and the other Lake Poets.